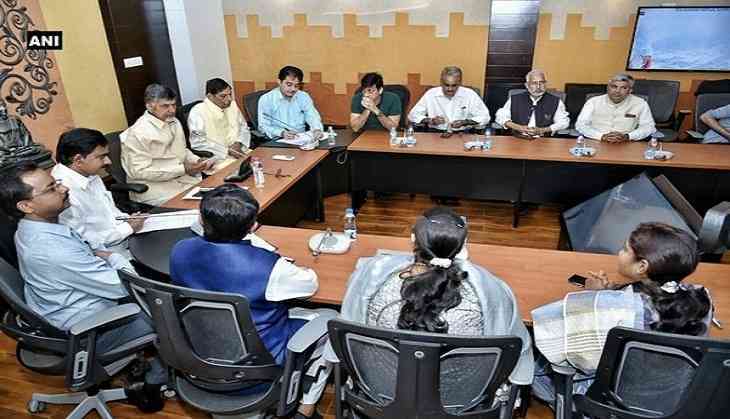 The Parliamentary standing committee on water resources on Friday met Andhra Pradesh Chief Minister N. Chandrababu Naidu at Amravati. The Chief Minister explained about the construction progress of the Polavaram project to the committee members. Chief Minister Naidu urged the committee to keep the national interest in mind and a 'fast' construction of the project. He also said that a review will be conducted every Monday and every third Monday will be reserved for a personal inspection. Earlier, Chief Minister Naidu had said the Polavaram project would change the economic scenario of the state. He also informed that the project needs around Rs. 50,000 crore for completion and Rs. 12,000 crore has been spent so far. He exhorted the young engineers to work hard with a commitment to develop the state as number one in the world by 2050. Naidu has personally inspected the progress of the ongoing works at the project 18 times so far. A target was set to supply water through gravity by 2018 and complete the project by 2019. The state government completed the Pattiseema Village lift irrigation in a record time and lifted 29 thousand million cubic feet of Godavari water to save the crops in the Krishna delta. The ongoing 25 irrigation projects in the state would be completed in three months.